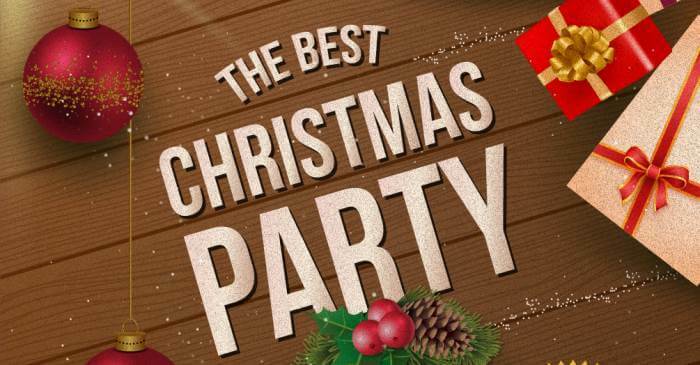 Continuing our series of posts on Christmas freebies, today we have brought for you an awesome list of free Christmas vector graphics and Christmas party vector templates. 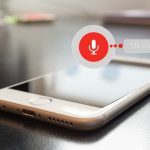 These vectors can be downloaded in AI or EPS formats and are easily scalable and modifiable. 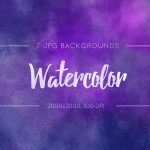 This collection has Christmas vectors in amazingly different styles including retro themed vectors, vintage Christmas vectors, Christmas vectors in cool hipster style, sketchy look, and even cute and funny cartoon inspired Christmas characters. 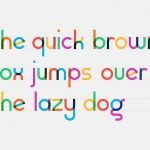 These cheery and colorful vectors will surely brighten up your websites, apps and other design projects for the coming holiday season. 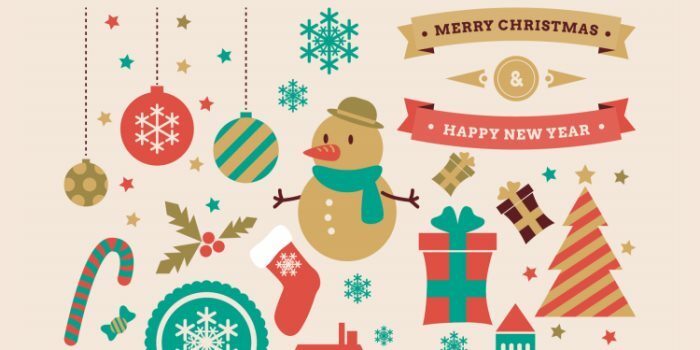 Read on and take a look at these gorgeous Christmas vectors, each one with its own uniqueness and appeal. 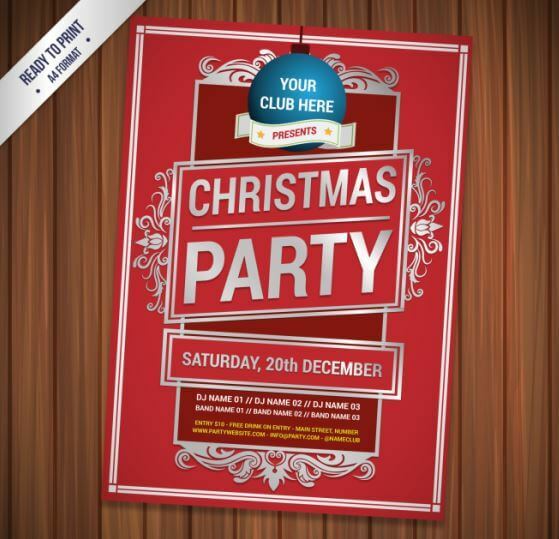 Towards the end, you will also find a set of Christmas party flyer templates. 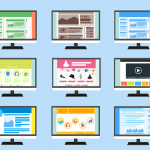 And while you are at it, do not miss to check our compilation of free Christmas icons. A colorful set of Christmas vectors in retro style. 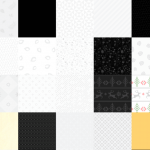 Included are vectors for snowman, Christmas tree, socks, gifts, and many more. 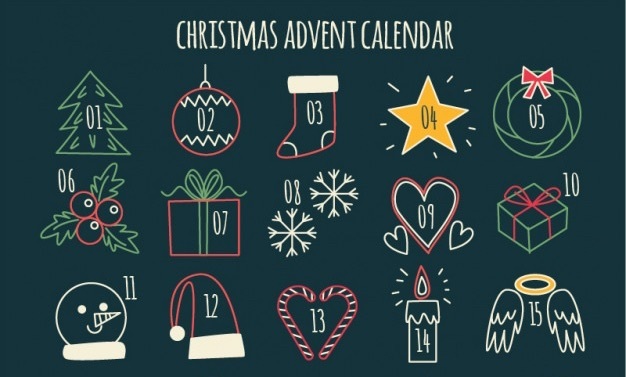 Christmas countdown calendar with hand drawn decorative elements. This set includes a variety of bright cheerful Christmas vector elements that you are sure to find useful for your holiday projects. 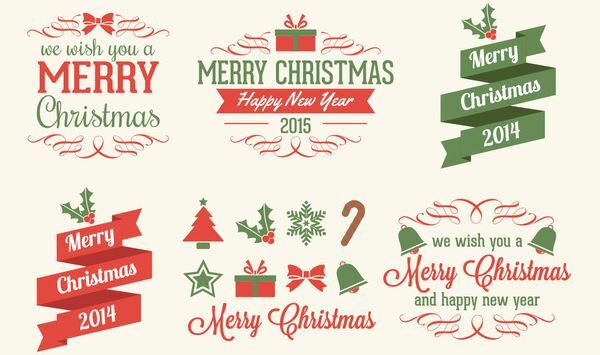 A collection of free Merry Christmas and new year labels from Freepik. 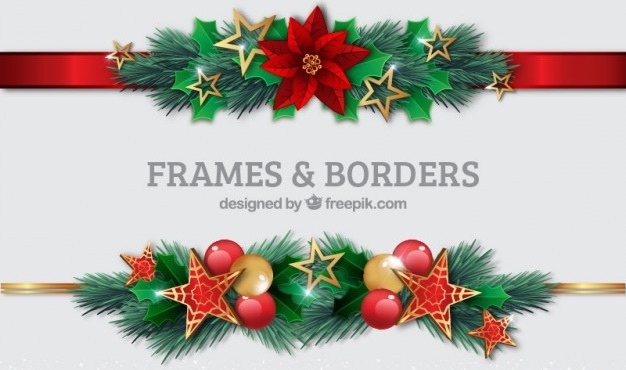 Decorative borders and frames made up of Christmas ornaments like stars, hollies, ribbons and baubles. 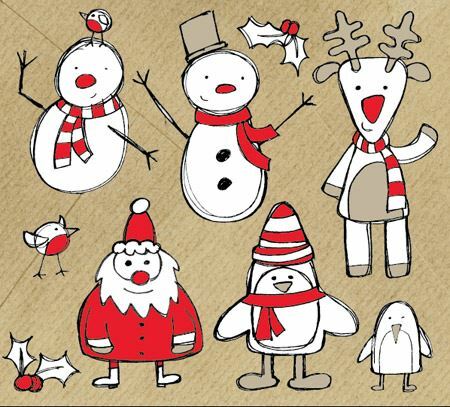 This Christmas/Winter themed vector graphics pack includes sketchy doodles of snowmen, reindeer, penguins, robins and good old Santa. Free vintage style Christmas vector elements including badges, tags and labels. 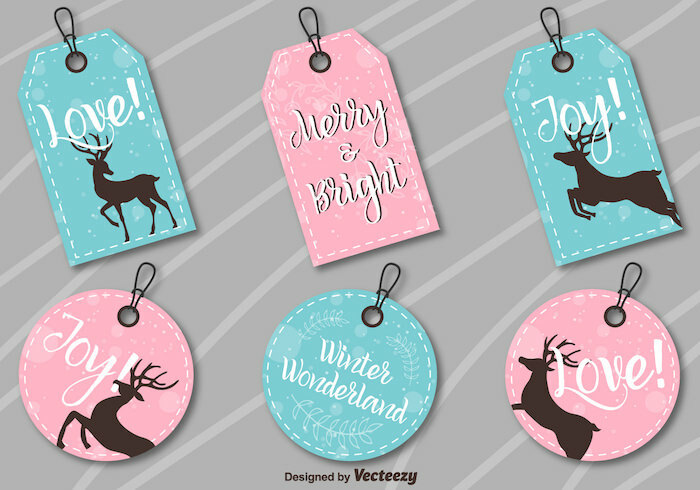 Set of vector Christmas tags with text and deer silhouettes in pastel pink and blue colors. 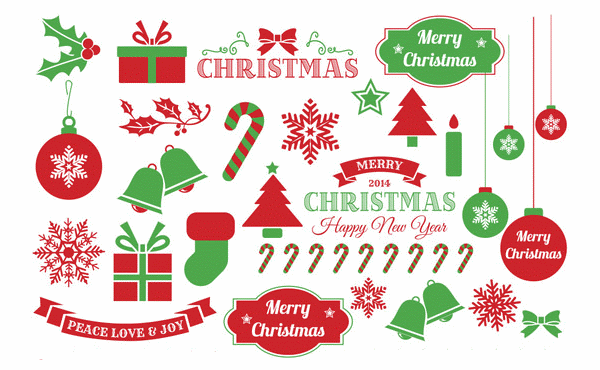 Christmas elements like candy cane, Santa Claus hat and mistletoe in vector format. 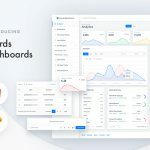 A set of Christmas icons, elements and illustrations in retro theme for your holiday themed projects. 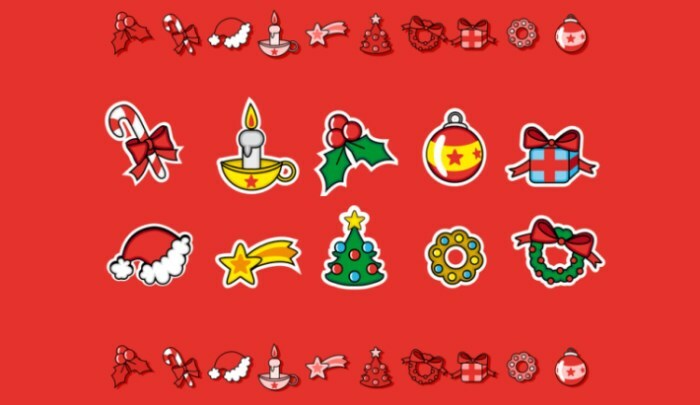 This Christmas set of lables, emblems and decorative elements fits best for any Christmas related projects. 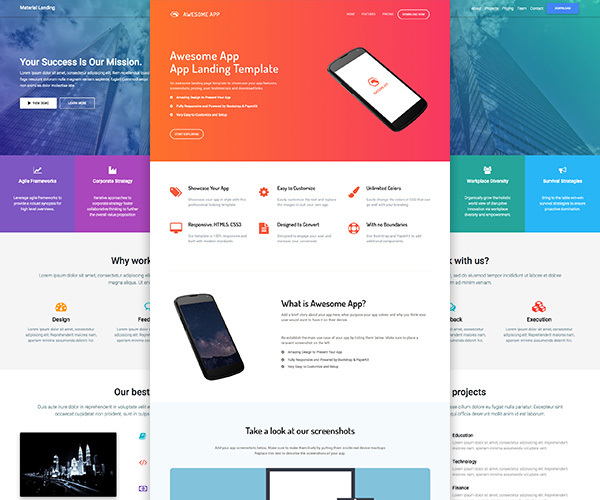 All these elements are fully editable. 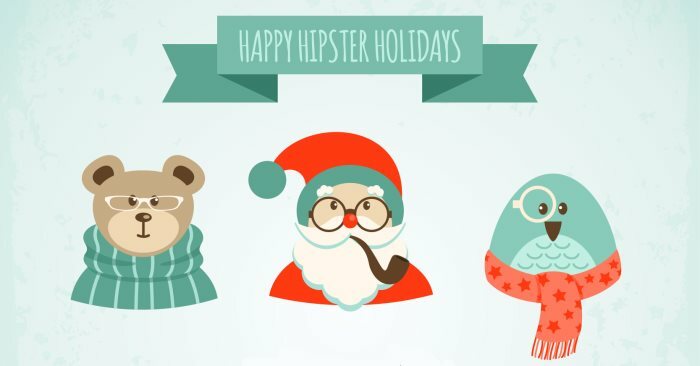 A unique set of Christmas characters like Santa Claus, snowman and reindeer in hipster style. 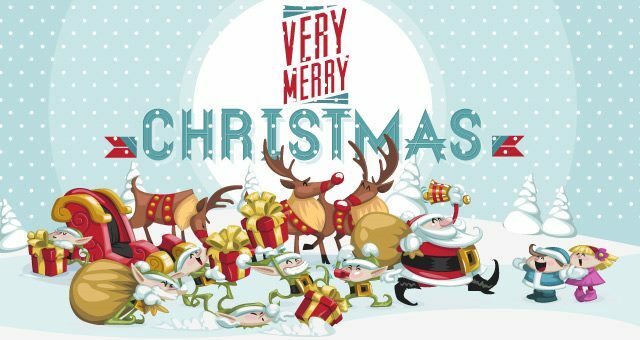 This Christmas characters vector art pack includes cute and funny vectors such as Santa vector, Christmas gift box vector, Christmas vector reindeer, Christmas elves, Christmas children vector and more. A mega collection of beautiful vectors related to Christmas like gingerbread, wreaths, mistletoe, candy canes, bells and many many more and completely free. This freebie has fantastic looking free Christmas vector in blue and white winter theme, with all the Christmas and holiday elements and symbols. 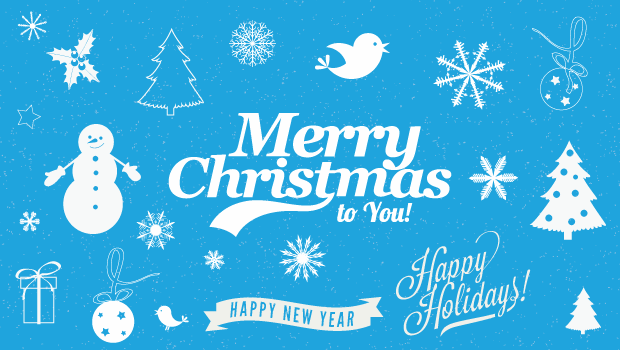 Replicate the feel of the chilly winter season with these Christmas vectors. 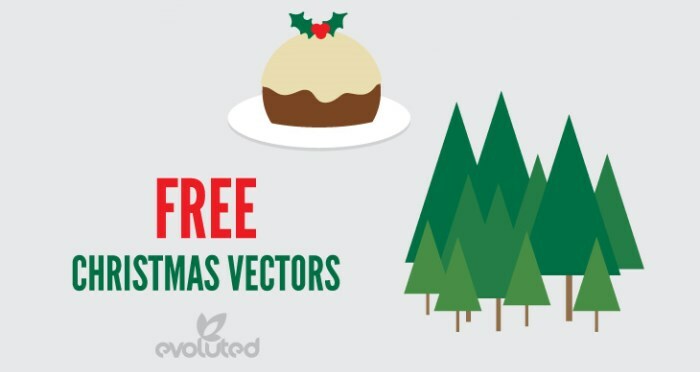 Vector reindeer, Santa Claus, Christmas pudding and small pine tree forest for you to use in your Christmas designs. 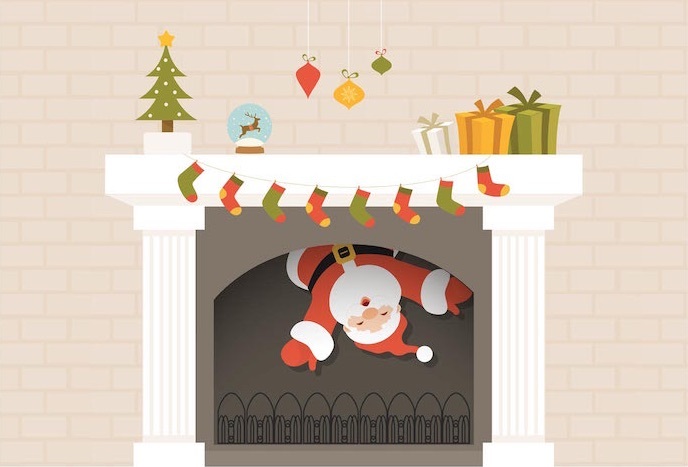 Vector illustration of Santa Claus descending from a Christmas decorated fireplace. Perfect for making your christmas greeting card. A cute set of cartoon inspired Santa Claus vectors. 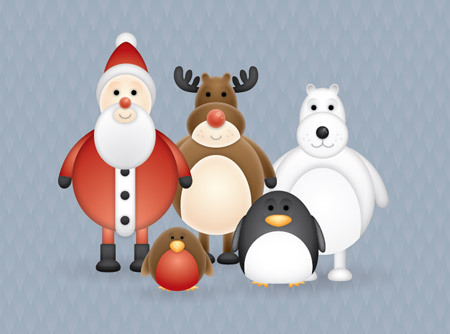 A pack of cute Christmas themed characters, including a reindeer, polar bear, penguin and a robin, not to forget Santa himself, for your Christmas themed design work. 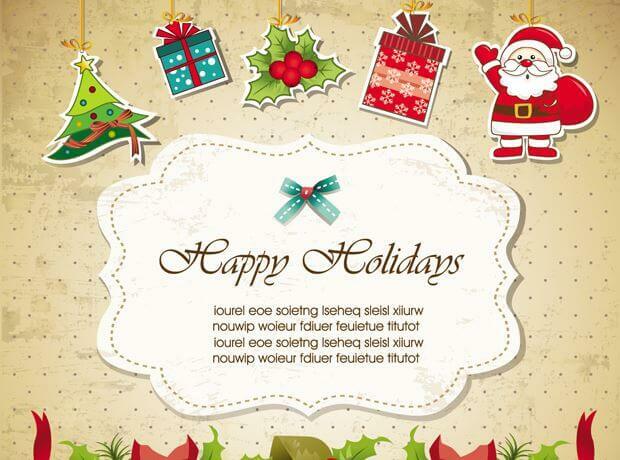 Free vector collection of Santa Claus hats. Bright colored cute elements like gift, candy canes, baubles and hollies feature in this free Christmas party flyer vector template. 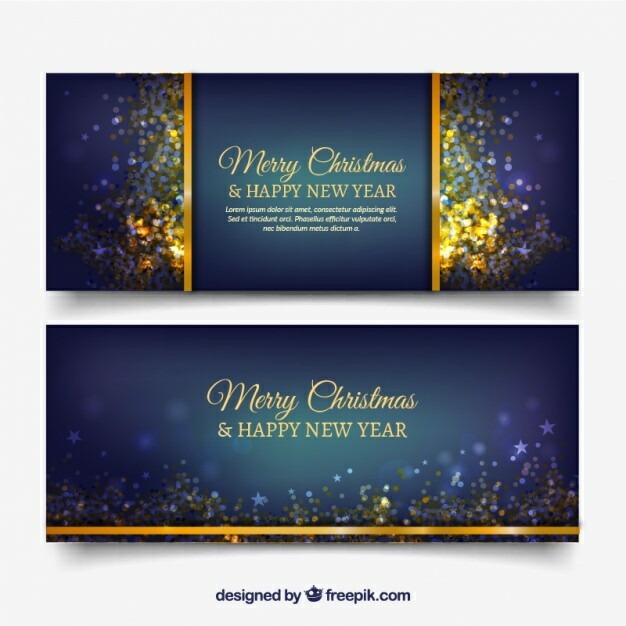 Luxurious Christmas and new year banners in dark blue color decorated with golden confetti. Want to have an ugly christmas sweater party this Christmas? 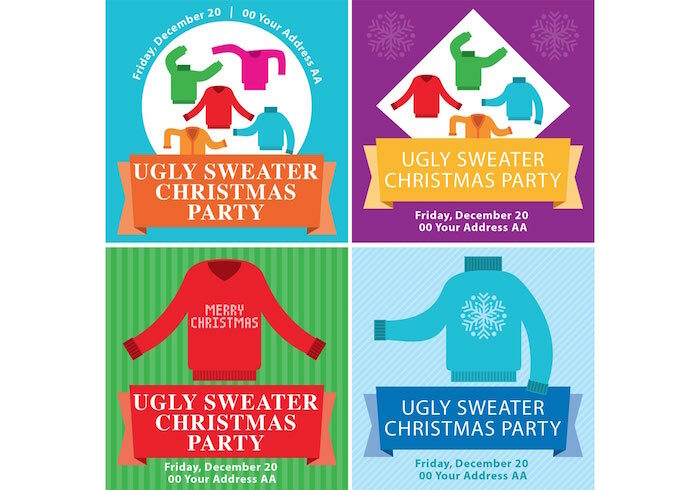 Use this ugly Christmas sweater invitation template to invite your friends. 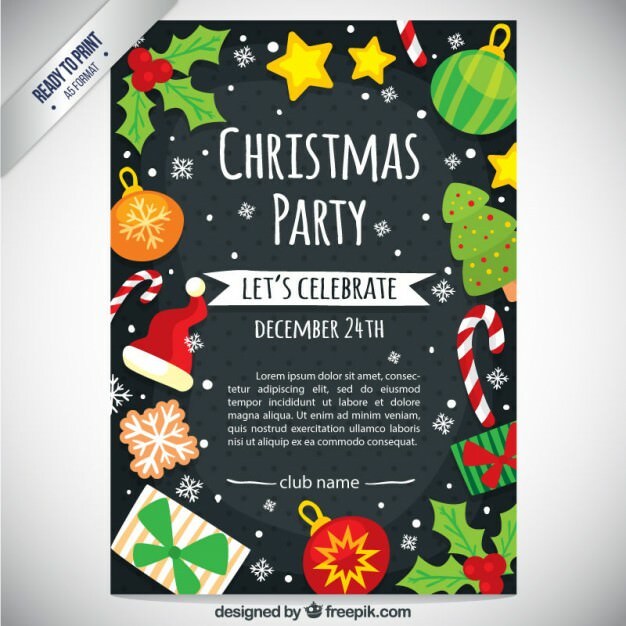 Brightly illustrated, print-ready Christmas party flyer template. 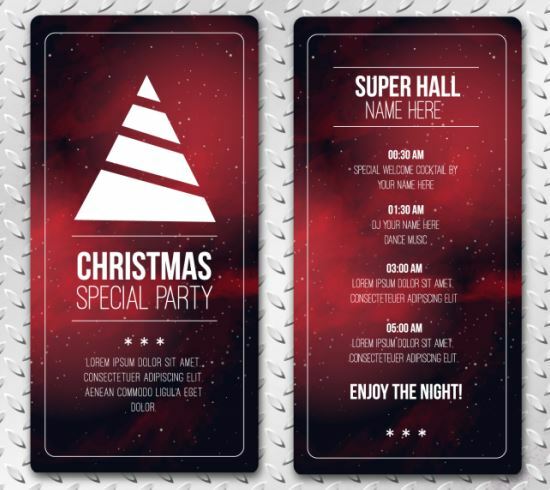 Christmas flyer template for promoting your parties and celebrations. An elegant Christmas party brochure template in vintage style design. Illustrated with colorful Santa Claus, Christmas tree, gifts and mistletoe, a free Christmas and invitation design template. 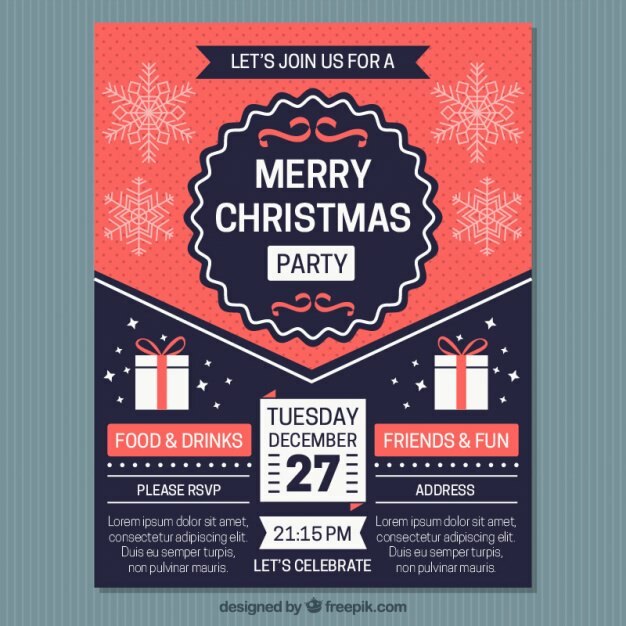 Print-ready, Christmas party flyer template in CMYK colors. 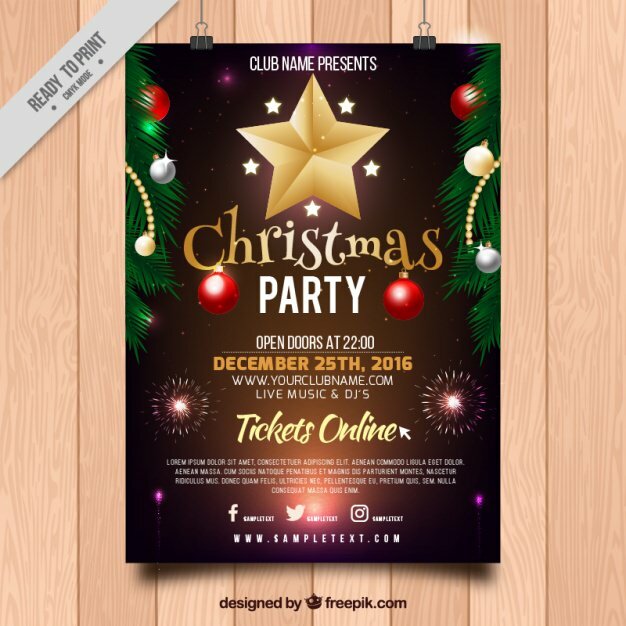 Bright, shiny Christmas ornaments over dark background stand out in this free party poster template. 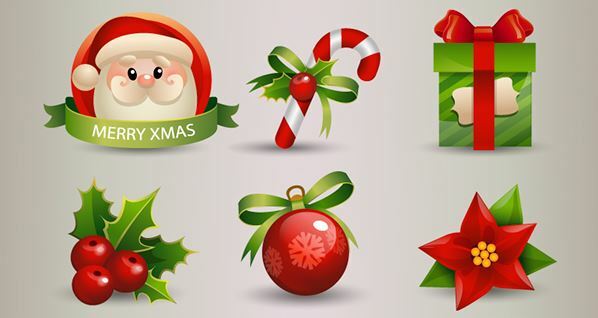 We are sure just looking at these beautiful Christmas vector graphics would have put you in Christmas mood. Do not forget to check our entire collection of free Christmas themed resources. How are your Christmas holiday themed projects going? 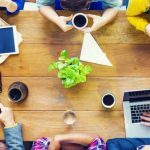 You can share your work with our readers in the comments below. 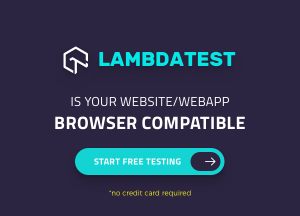 And please make sure to share this post with your friends too, we would really appreciate it!